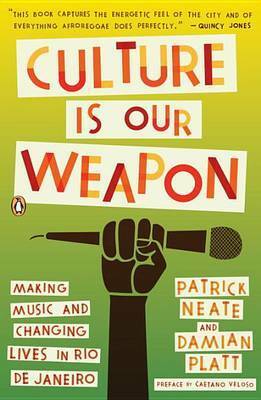 An inspiring mission to rescue young people from drugs and violence with music At a time when interest in Brazilian culture has reached an all-time high, and the stories of one person's ability to improve the lives of others has captured so many hearts, this unique book takes readers to the frontlines of a battle raging over control of the nation's poorest areas. 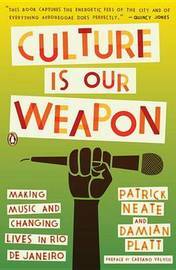 Culture Is Our Weapon tells the story of Grupo Cultural AfroReggae, a Rio-based organization employing music and an appreciation for black culture to inspire residents of the favelas, or shantytowns, to resist the drugs that are ruining their neighborhoods. This is an inspiring look at an artistic explosion and the best and worst of Brazilian society.